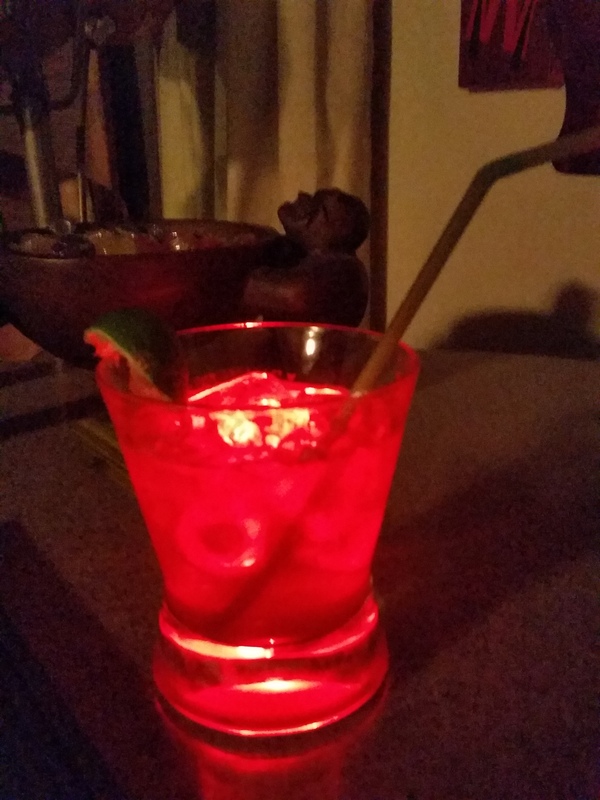 It's the original good time cocktail that is both shaken and stirred. The Quagmire features brandy with a cavalcade of rums that make this cocktail giggity giggity good. It's a sneaky little drink that coyly packs a whallop, and before you know it, you've been Quagmired. when it goes down, each girl who drinks it goes - Aaaahh! Order it clean or dirty. 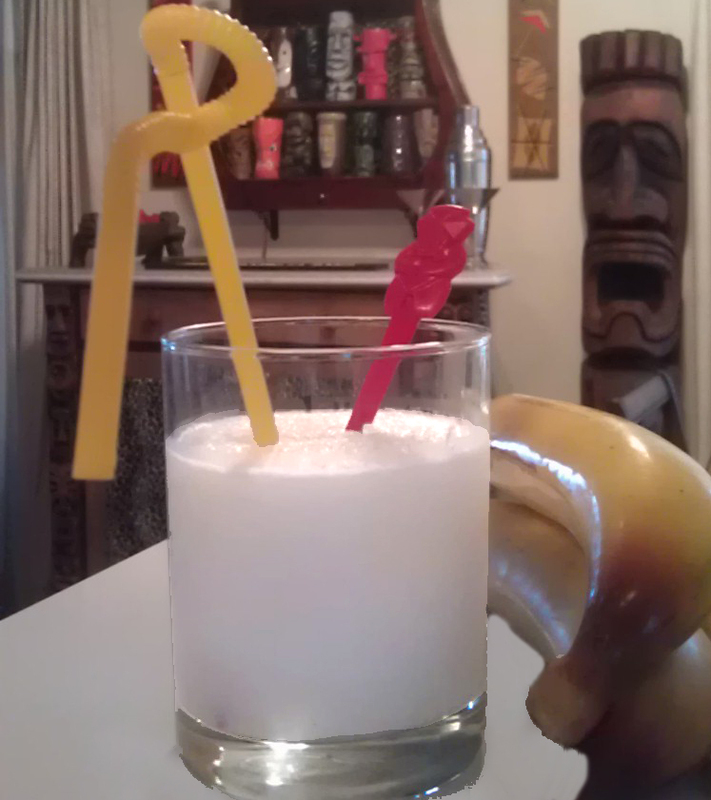 This blended banana fantasy is a perfect dessert cocktail that leaves little to the imagination. 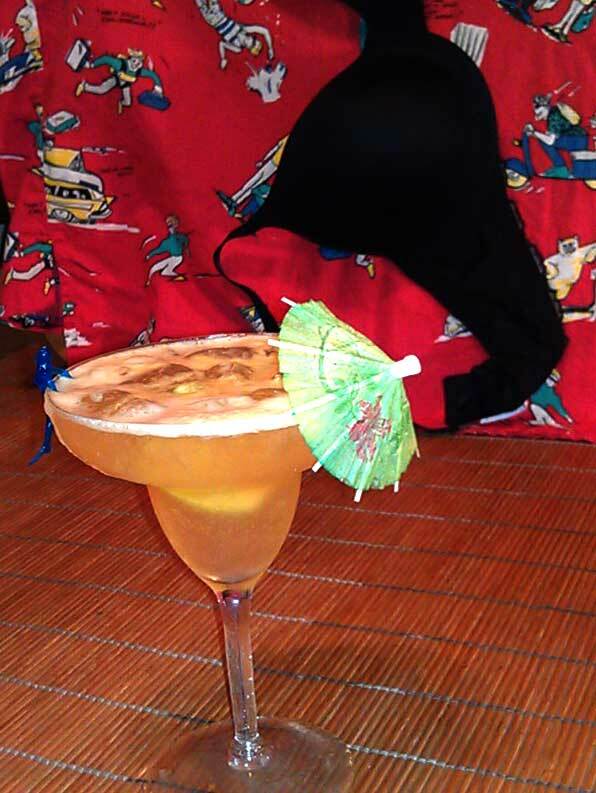 It goes down easy, looks great at the beach, and makes the ladies swoon. After building and deploying his tiki army, he was poised to topple the centers of power around the globe when he gained something more important... compassion. Now he sits in his fortress at Death Skull Island and waits. He waits for society to call for a new world order, his new world order. While he waits, he enjoys the delicious mango/passionfruit cocktail that bears his name - The Lars Fargo. Fuz´zle - v. t. To make drunk; to intoxicate; to fuddle. 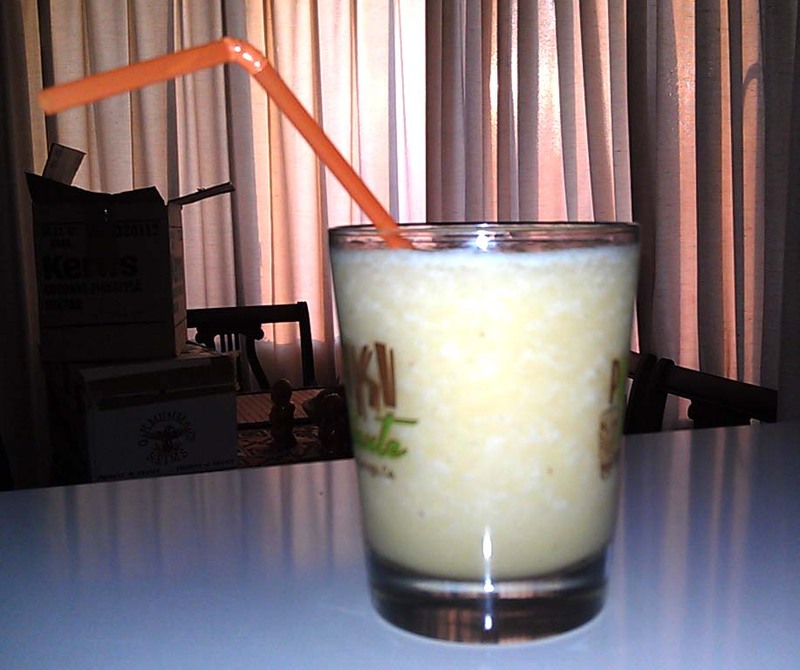 This peach/vanilla combo has a flavor that bounces around your taste buds. An excellent summer cocktail that is guaranteed to give you the warm fuzzies. 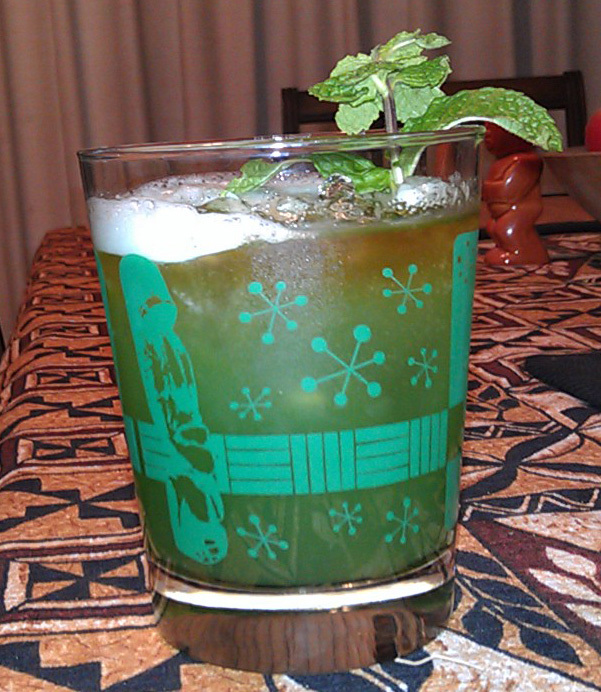 This recipe, made with Sammy Hagar Beach Bar Rum, took the grand prize in the Beach Bar Rum Spirit of Aloha contest. 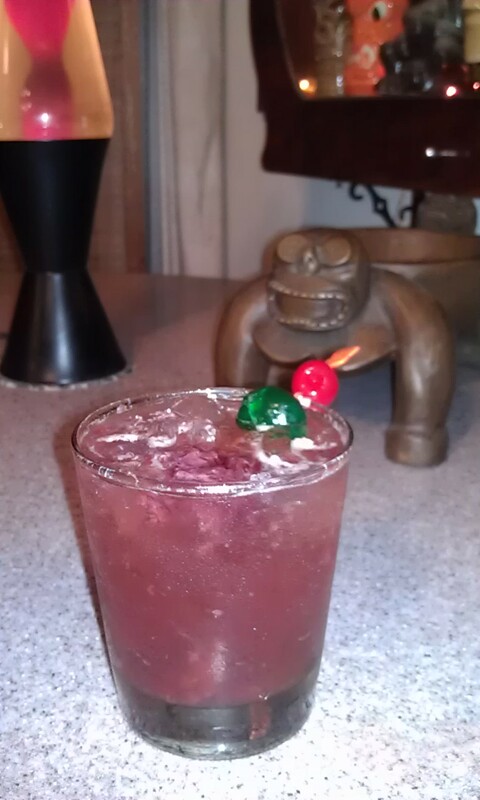 It features three different Cherry flavors, along with Lime and Almond. Ralph Nader called the Red Corvair "Unsafe at any speed." Actually, the Corvair possessed no greater potential for loss of control than its contemporaries. The same holds true for the drink. It features a Rye base with assorted fruit flavors. This is the official cocktail of the Topside Officers Club in La Canada CA. Created by the folks at Lothario Labs, it is considered one of the more potent libations available at the Lounge. Featuring 5 rums and assorted fruit juices. 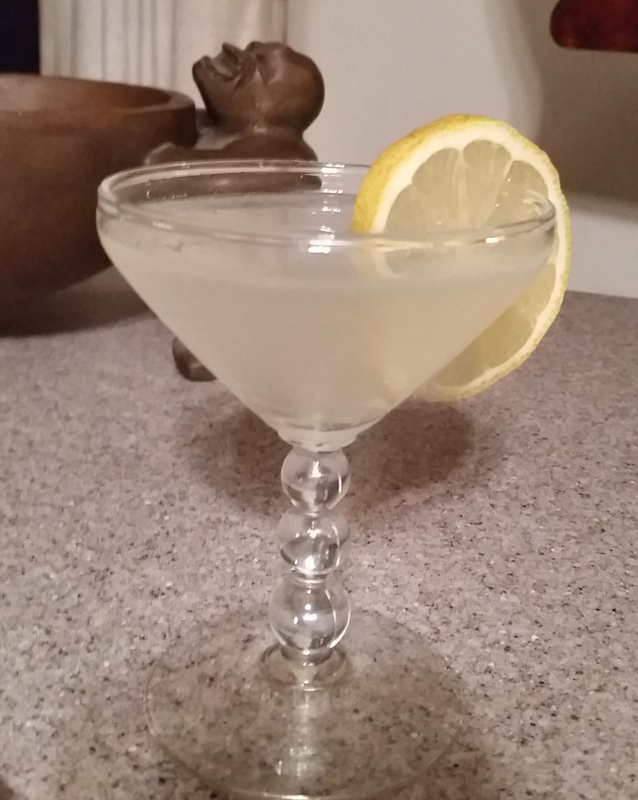 Blending banana and lemon makes this a truly unique cocktail which is great for a summer day. 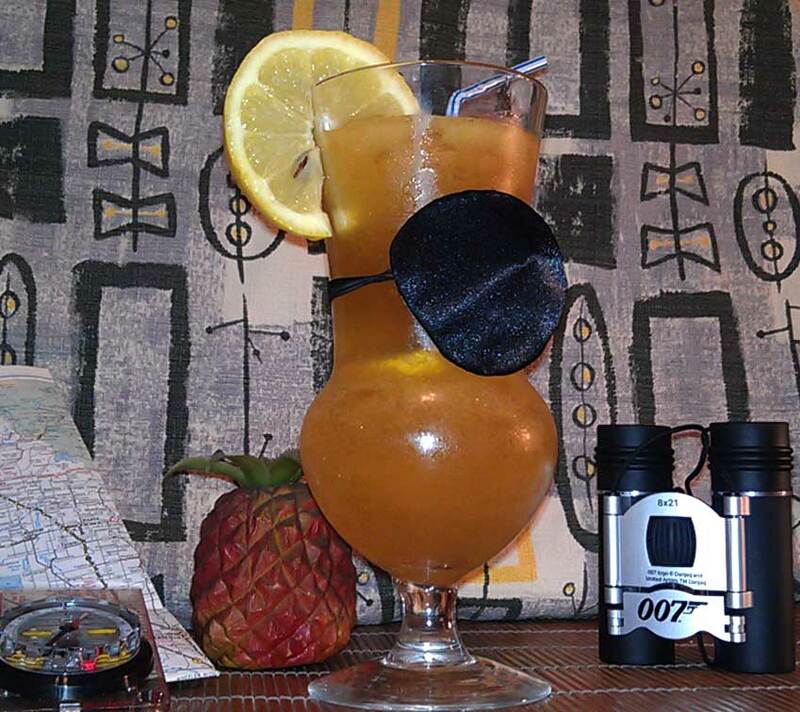 It also features four kinds of rum and a hint of spice. 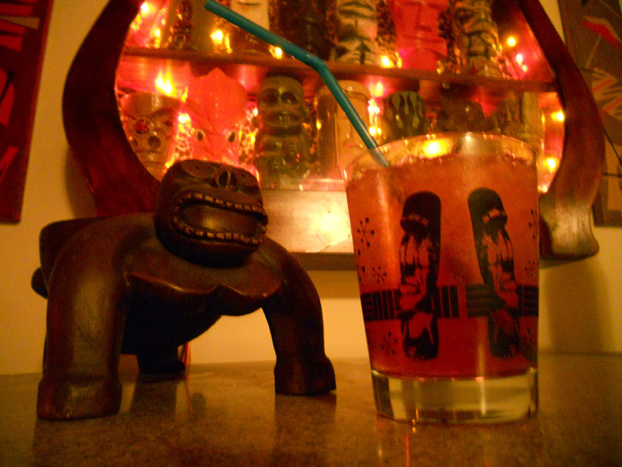 This spicy little cocktail features rums, juices, and a spicy flair for those that dare. This Lychee/Lemon blend will give you a special kind of pucker and tantalyze your tummy. 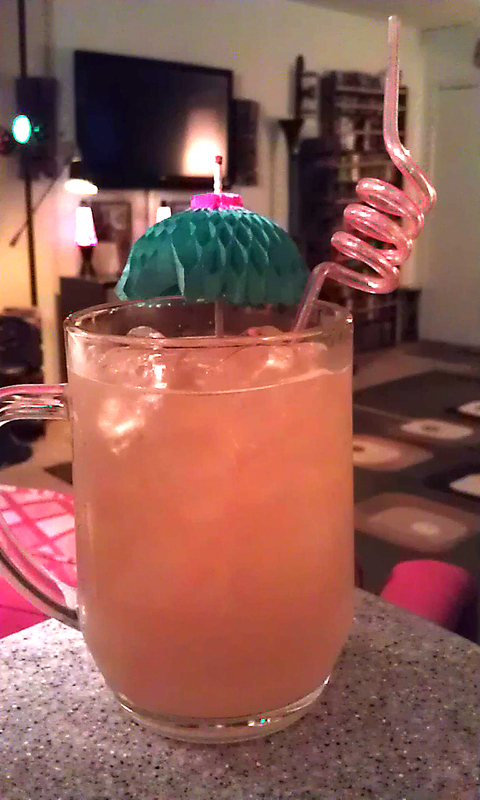 It's the Mai Tai-less Mai Tai. 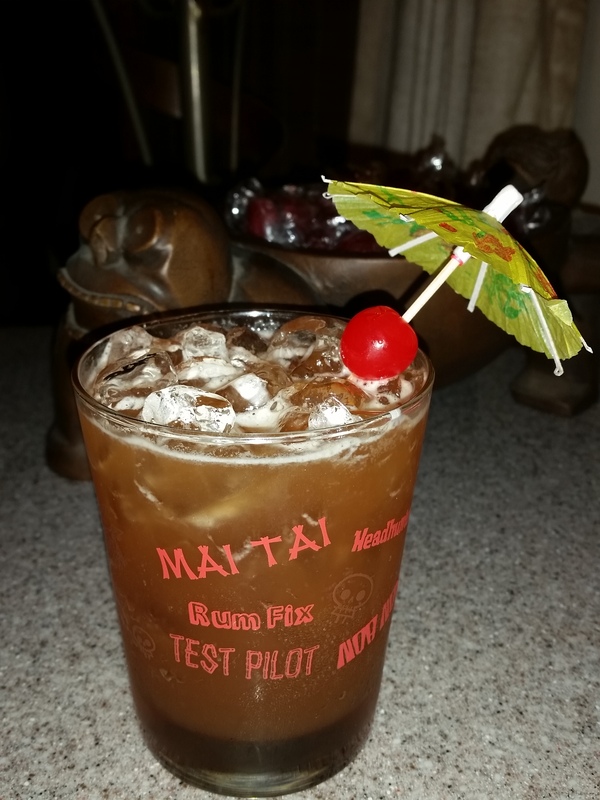 Made with no Mai Tai ingredients, yet it tastes like a Mai Tai. 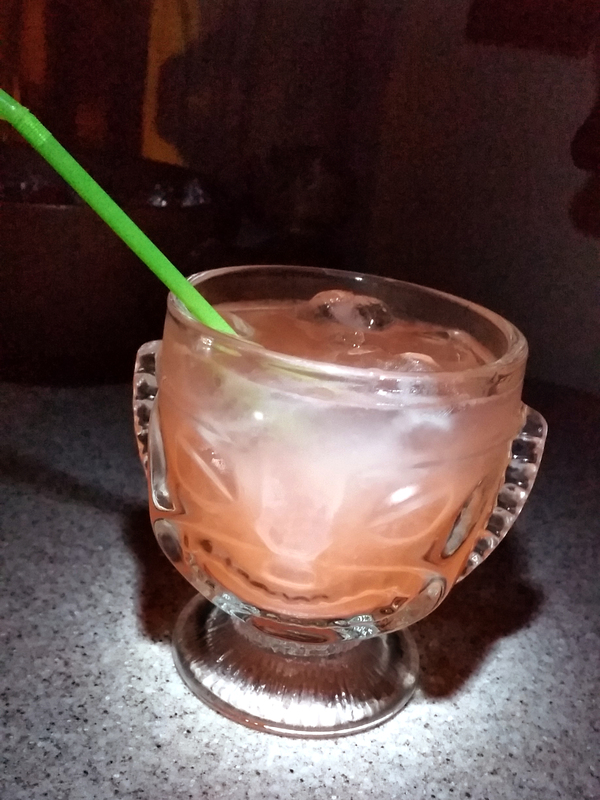 The Yink drinks pink ink and likes to wink. If you have a lot of ink, then you should get a Yink, I think. 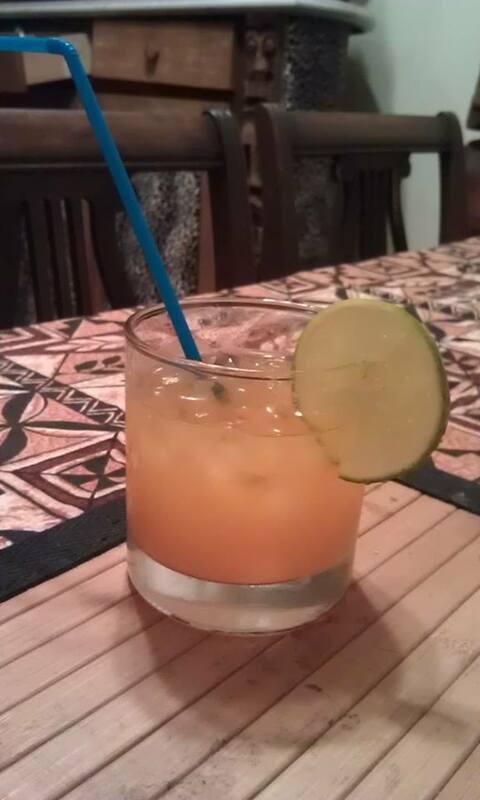 Like the name says, The Gua-Va-Voom has a guava base with 4 types of rum with some orange to boot. Exotic fruit compotes mixed with bourbon make this a great fall cocktail. Hard to find ingredients make this cocktail a rare commodity at the Lounge. fruit juices which make it a crowd-pleaser.